To maintain the income statement well and in updated order, inventory cost of good analysis template in Excel is carried out. The cost of good is subtracted from the net revenues, however, there are other procedures available as well. Inventory management holds vital importance for consistent operations and reducing expenses for the company and to ensure undesirable items are available in smaller amounts in the company warehouse. This analysis is important for setting the right price for your company products or services; therefore it must be calculated right! 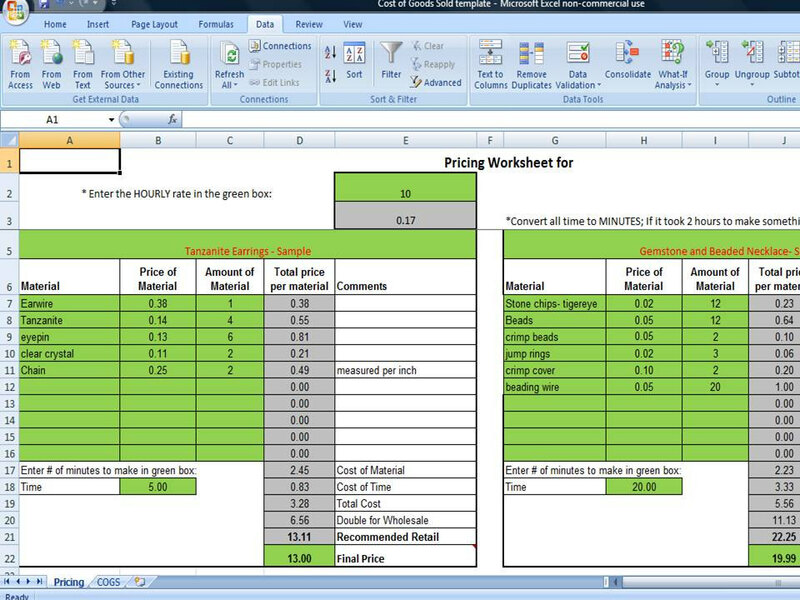 Project cost control sheet excel, read before getting this template. In simpler words, it actually decreases your business income, however, it must be the clear cost of goods is actually the cost and expense for the goods used in manufacturing. Not to mention this, it doesn’t hold selling or overheads costs. It is the key element of an income statement. You can easily summarize inventory through this template. For custom design or pattern of sales of goods, template comments us. The template consists of 2 spreadsheets. Enter your company name and date. **Don’t interfere with dark grey cells. They are calculated for you. G9 with the formula, =SUM(C9:F9). This part of the template is reserved for inventory unit analysis. This is further subcategorized into the number of units in your inventory- beginning of the period, production, units available for sale, units sold, and the number of units in inventory-end of a period. They are in the columns, B9- B13. Start filling the number for the products A, B, C & D for all of the categories mentioned in cells B9- B3. Enter them from the cell, C9. This part of the template is restricted for this purpose and cost of goods analysis is divided into beginning inventory, adds purchases, cost of goods- available for sale, less ending inventory & total cost of goods sold. Fill this section in the same way like above. Start entering the values for all of these for the products A, B, C & D. total is colored dark grey and it will be auto-calculated for you. Inventory costing is calculated on the basis of components; cost per unit- beginning of period, cost per unit- end of period & variance. Weighted average cost (cost of goods available for sale/ units available for sale) is calculated using formula, =+C16 /C9. It consists of value of ending inventory from above, finished goods inventory, work in progress and raw materials. Start filling them for all the products. Total is calculated by the template using formula, =SUM(C32:C34), and same for the others. A little bit different if you are talking about manufactured costing, recommended retail to double for wholesales amount calculated with the cost of material, cost of time and total costing of the particular order. Hourly base rate sheet in excel format helping you total per material cost with types of material or parts.